Acclaimed as “a world-class ensemble,” Sinfonia Toronto is one of Canada’s finest chamber orchestras. The orchestra performs its Masterpiece Series in two of Toronto’s finest concert halls. It presents its concerts at CBC’s Glenn Gould Studio, where many of its concerts have been recorded for national broadcast and in the Toronto Centre for the Arts. The orchestra has recorded for its own label, Marquis Classics EMI, Cambria, and Analekta on iTunes. The orchestra’s repertoire includes all the major compositions for string orchestra from the Baroque through Classical, Romantic, and 20th-century works. 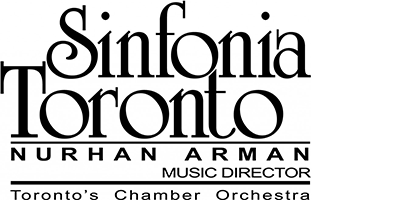 Sinfonia Toronto has premièred many new works, and has been praised by the Canada Council for its commitment to performing music by Canadian composers. Twice winner of JUNO Awards for Best Classical Composition, Chan Ka Nin’s works have been performed by ensembles and artists such as the Toronto Symphony Orchestra, National Arts Centre Orchestra, Calgary Philharmonic Orchestra, Esprit Orchestra, Hamilton Philharmonic Orchestra, Manitoba Chamber Orchestra, Orchestra London Canada, Symphony Nova Scotia, Amici, Mirò Quartet, Purcell Quartet, Rivka Golani, and Lawrence Cherney. His numerous international awards include Jean Chalmers Award, Béla Bartók International Composers Competition, Barlow International Competitions, International Horn Society Composition Contest, PROCAN Young Composers Competition, and Amherst Saxophone Quartet Composition Competition. In 2001, his opera Iron Road won the Dora Mavor Moore Award for Outstanding New Musical. In 2002, his chamber work Par-çi, par-là, which was recorded by Ensemble Contemporain du Montréal, won the JUNO Award for Best Classical Composition. 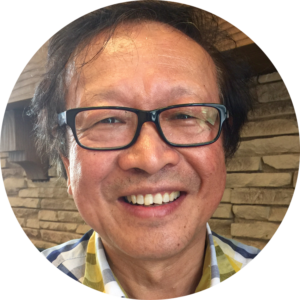 Chan was born in Hong Kong and moved with his family to Vancouver in 1965. At the University of British Columbia, he studied composition with Jean Coulthard while pursuing a bachelor’s degree in electrical engineering. After graduation, he decided to continue studying composition with Bernhard Heiden at Indiana University where he eventually obtained his master’s and doctoral degrees in music. Since 1982, he has been teaching theory and composition at the University of Toronto. This short piece with a long title reflects the composer’s enthusiasm for his homeland. Composer Chan Ka Nin immigrated to Canada in 1965. 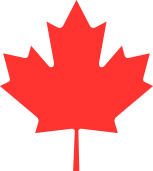 He is grateful for what Canada has to offer—education, health care, jobs, and a generally peaceful and safe environment. This work tries to capture the essence of being able to live in this most beautiful, wonderful, terrific, amazing, fantastic, and magnificent country.